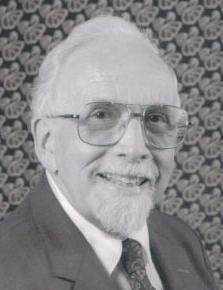 Harry M. Buck, a key leader of the AAR’s mid-1960s transformation from the National Association of Biblical Instructors to the American Academy of Religion, died July 4, 2010, at age 88. As a teacher, editor, and publisher, he opened new opportunities for scholars of Asian religions and for feminist scholars. His extensive AAR involvement includes serving as Treasurer from 1958 to 1972, Managing Editor of the journal from 1961 to 1973, and Executive Director from 1970 to 1972. Buck made the AAR more inclusive. Former president Vasudha Narayanan, for example, credits him with “intellectually and institutionally opening up South Asian studies at the AAR,” noting that he was “culturally at home in many parts of the world and worked hard to make sure that these cultures were a part of the AAR’s intellectual life.” In addition to his efforts within the AAR, he founded Anima Books, which published a number of volumes on religion in India. Buck fostered increased participation of women in the Academy. Joanne Punzo Waghorne, Syracuse University Professor of Religion, calls him “one of the catalysts for our current demographics and the many panels and papers at the AAR that speak to the issue of gender comparatively and forcefully.” Former president Judith Plaskow notes his support of “the Working Group on Women and Religion from its beginnings in 1972,” including “being one of the few men at the first sessions.” Carol P. Christ, currently Director of Ariadne Institute, remembers that “when we cooked up the plan for the Women’s Caucus in the AAR and SBL,” Harry was very supportive and sent us the names and addresses of all AAR members whose names were not clearly male.” In addition, as founder and editor of the journal Anima, Buck was instrumental early on in providing a place for scholarship on religion and gender, thus helping launch the careers of a number of feminist scholars. Former students and mentees recall his extraordinary guidance. The Rev. Genko Kathy Blackman describes him as “a marvelous teacher. It was impossible not to enjoy learning in his classes.” And though forty years have passed, she “draws every day on the insights gained from him, not the least of which was a clear understanding that we never stop learning. No doubt, even though he has passed on, he continues to ask questions, and to delight in the responses he gets.” Mara E. Donaldson, Chair and Professor of Religion at Dickinson College, credits him as the reason she “continued on in religion.” Glenn Yocum, who co-edited Structural Approaches to South India Studies with Buck in 1974 and who subsequently became editor of JAAR, calls him “my first and most influential mentor in scholarly editing.” Downing describes his “generous mentoring” when she was the first woman in twenty years to be elected to the presidential line. Buck is survived by, among other family members, his wife, Esther Buck, whom Waghorne describes as “equally gifted” and whom Harry has readily credited as a partner in making substantial contributions to AAR work during his period of leadership. Colleagues and friends unable to attend his memorial service — this fall at Thomson Alumnae Chapel at Wilson College in Chambersburg, PA — may wish to post their remembrances using RSN’s online comment feature.